Most people designate one other individual to serve as a will’s executor, but you likely have the possibility of establishing two or more co-executors. Many estate planning attorneys will recommend that one executor is best since this avoids possible conflicts between two or more people, but there are unique situations in which it makes sense to appoint two. An executor has multiple responsibilities in the closing out of our estate, such as filing paperwork to have the will admitted to probate, paying off debts, notifying creditors and heirs about probate status, managing and preserving the assets of the estate and distributing property to heirs as outlined by the will. A co-executor would have the same responsibilities as any other person serving in this role, but also has an additional role to play to ensure that other co-executors fulfill their fiduciary duties. If you are selecting co-executors, it is critical to evaluate their ability to work together in carrying out these duties. The most common situation related to co-executors has to do with siblings. Whereas, some siblings may be able to get along very well and agree on key terms, others may not be able to get along at all and this can cause significant problems in the administration of a probated estate. You can also outline inside your estate planning paperwork that these co-executors have the freedom to act independently of the others or that they must act together. 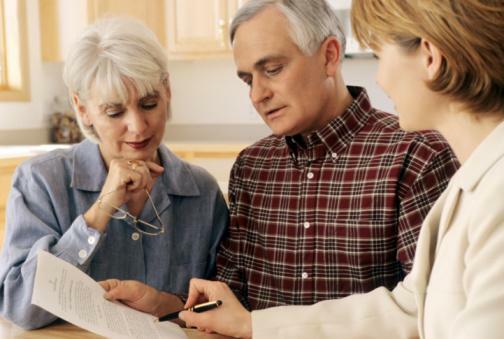 Talk to your attorney to determine how to select these executors and what language to use.